Literature is always discounted at Schoolhouse Publishing! If you are looking for history literature and books by a particular author or publisher, this section of our website will make your search even easier. Included in this section are Beautiful Feet books, Genevieve Foster books, H. A. Guerber books, Bethlehem Books, and much more. And, when allowed, we offer deep discounts. 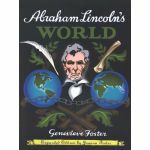 Make your homeschool history come alive with great living books.